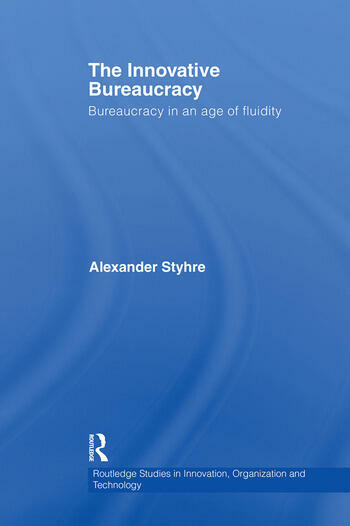 Highly original and based on unique empirical research in the fields of organization theory and organization behaviour, this work makes an invaluable contribution to the literature on bureaucracy and innovation. Focusing on a study of two major companies working with innovation and new product development Styhre's critical analysis pushes the boundaries of bureaucracy studies beyond its current entrenched position. Departing from the traditional view that bureaucratic organizations are inefficient, incapable of responding to external changes, unable to orchestrate innovative work and provide meaningful jobs for its co-workers, this empirical study underlines the merits of a functional organization, the presence of specialist and expertise groups and hierarchical structures. Analyzing the literature of bureaucracy, the new forms of post-bureaucratic organizations and drawing on the philosophy of Henri Bergson, the author offers a model of bureaucracy, capable of both apprehending its functional organization and its continuous and ongoing modifications and changes to adapt to external conditions. Innovative and compelling, this book is an excellent text for advanced students of organization and management theory and managerial strategists and decision-makers across the globe.